Today the General Synod voted through proposals for how women bishops could be introduced into the Church of England. Here’s my attempt to explain what it means. And it is moving on with this that the synod voted on with 378 votes for, eight against and 25 abstentions. These proposals will be worked through in more detail now that they have been agreed on in principle with a possible vote by Synod to make them a reality at the end of 2014. This means that the majority of people (even if they are in opposition to women’s ordination) feel that the proposals could be ‘workable’ and ‘lived with’. This is a major step forward since the impasse last November. I’m still amazed that it is so difficult to understand the press releases that come out of the Church of England about these issues – it’s taken me some time to put this article together and I’m still not 100% sure I’ve got the details right! 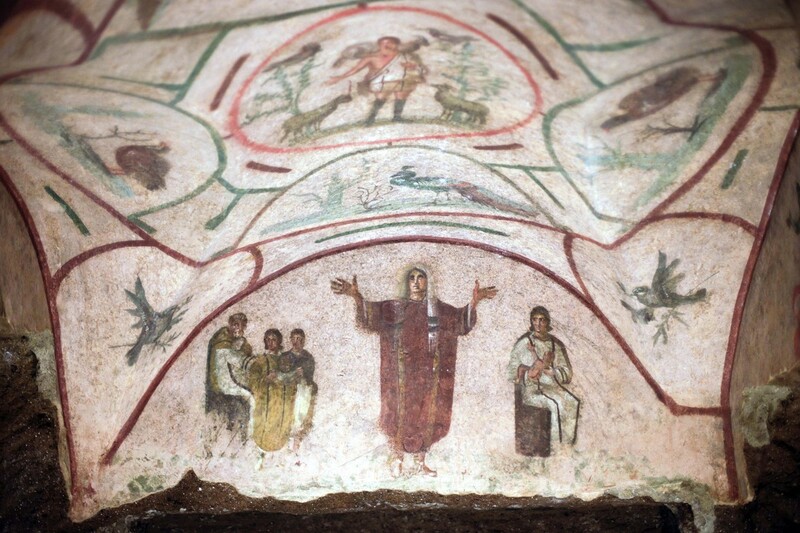 As an aside I thought it was delightful that also today an article was released about the restoration of the Priscilla Catacombs frescos that depict early women leaders in the church! It’s also wonderful that this vote has come the day after St Hild’s day – a great example of a woman leader of the church in England if ever we knew one! Next Advice from the Attorney General on twitter – a helpful reminder to think before you tweet!